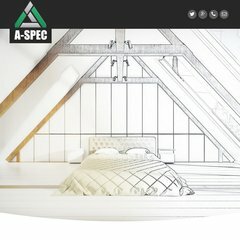 Topics: Cut Pitch Roofs, Timber Truss Roofs, Fascia Soffits, Loft Conversions, Automated Entry Gates, and Parquet Flooring. The programming language environment is PHP/5.1.6. ns2.namecity.com, and ns1.namecity.com are its DNS Nameservers. It is hosted by Iomart Dc1 Core Network (Scotland, Glasgow,) using Apache/2 web server.